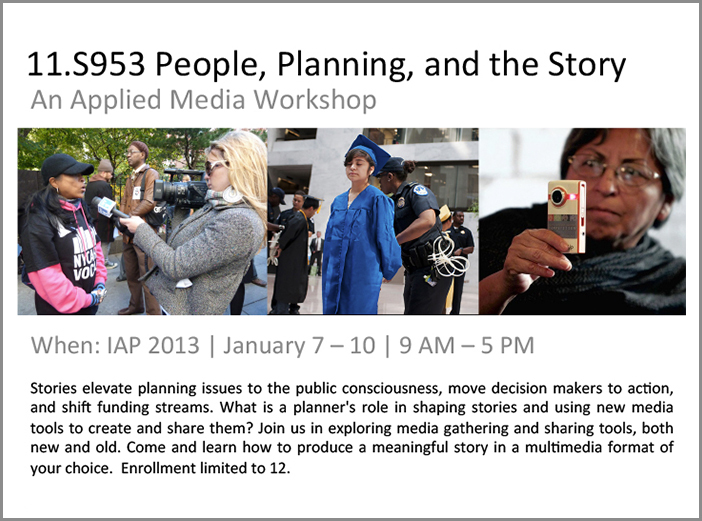 I co-designed and co-taught this week-long module with journalist, Alexa Mills and media producer, Stefanie Ritoper. The course explored why storytelling is important to the practice of urban planning. Students learned to identify and construct a meaningful story. Each activity in the course exposed students to media gathering and sharing tools, both new and old. Portions of the course were open to the public in real time via social media. We published a record of the class that enables anyone to replicate the experience.